The future, probably Japan. Robots have long been put into practical use, and androids have just come into use. Influenced by the Robot Ethics Committee, it’s become common sense for people to treat androids like household appliances. Their appearance – indistinguishable from humans except for the ring over each android’s head – has led some people to empathize unnecessarily with androids. Known as “android-holics”, such people have become a social problem. Rikuo, a high school student, has been taught from childhood that androids are not to be viewed as humans, and has always used them as convenient tools. 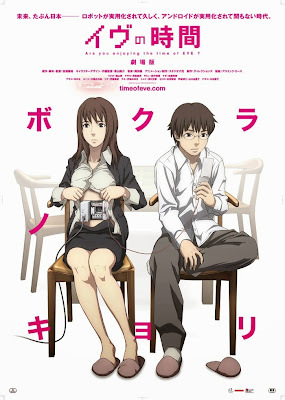 One day Rikuo discovers some strange data in the behavior records of his family’s household android, Sammy.